Containing a Vacheron Constantin watch. In the same week the news broke of singer John Mayer suing a watch dealer over alleged fake timepieces, it was revealed at an anonymous man in America had bought a jewelled, gold egg at an estate sale for US$14,000, hoping to make a small profit from the scrap value of its gold and jewels. 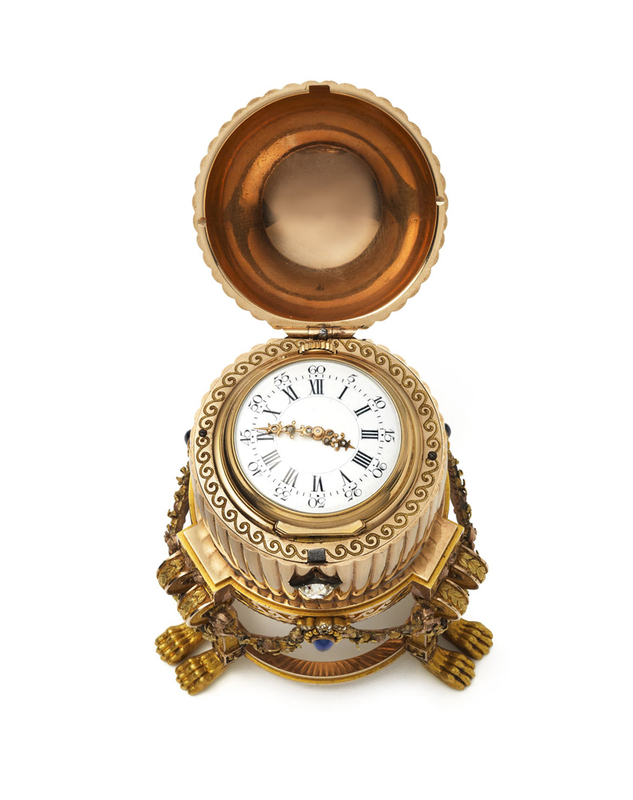 As it turned out, the object was the lost Third Imperial Easter Egg by Carl Fabergé, the court jeweller to the last Tsars of Russia, with a value estimated in the tens of millions of dollars. 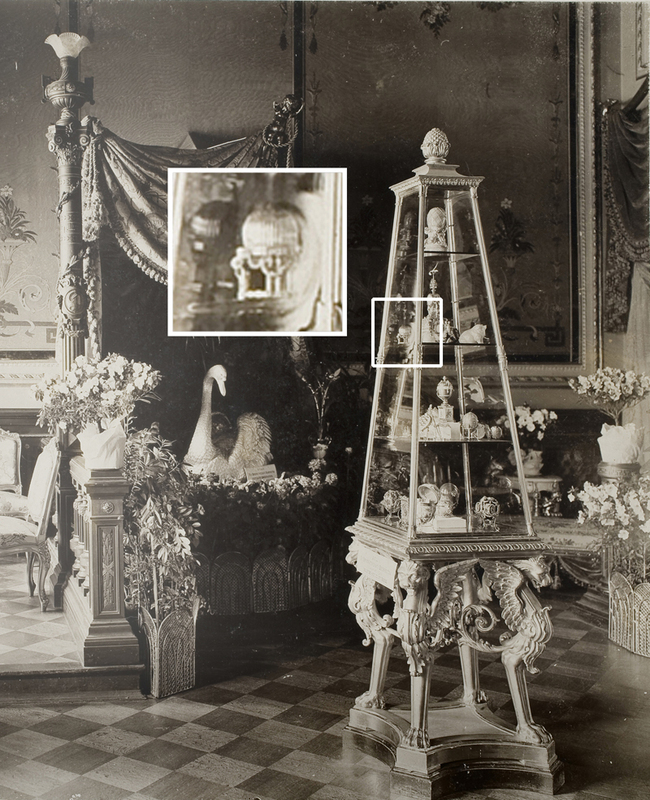 In the years 1885 to 1916, Fabergé made 50 Imperial Easter Eggs for the Emperors Alexander III and Nicholas II, the last rulers of an Imperial Russia. Made of gold, diamonds, and other precious materials, they were primarily gifts for the emperors’ wives. These fabulous creations have changes hands for millions in recent sales, including a collection of nine that sold for $100 million to Russian billionaire Viktor Vekselberg in 2004. Of the 50 known eggs, eight were thought lost, until now. Initially disappointed that the scrap value was less than he had estimated – he had been expecting to turn a US$500 profit – the buyer turned to Google. With the keywords “egg” and “Vacheron Constantin”, the buyer realised he had something incredibly valuable on his hands. 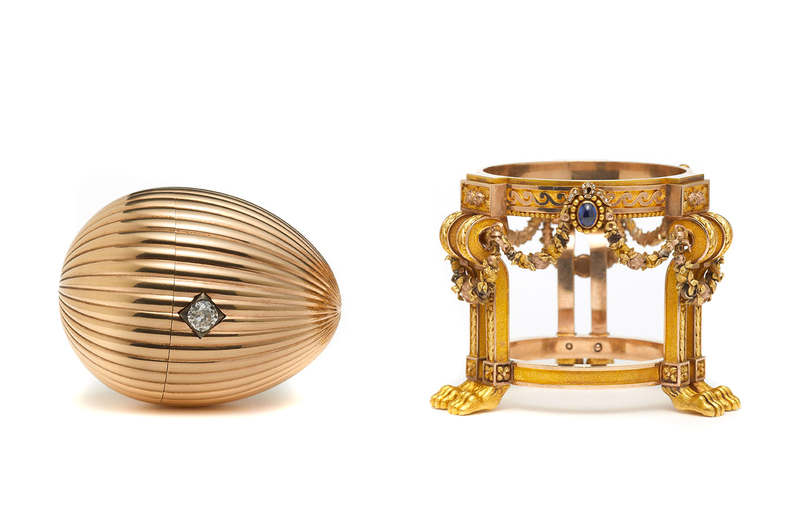 After getting in touch with Fabergé specialist Kieran McCarthy of British jewellers Wartski, who subsequently flew to the Midwest to inspect the egg, the verdict was delivered: the egg was the lost Third Imperial Easter Egg. 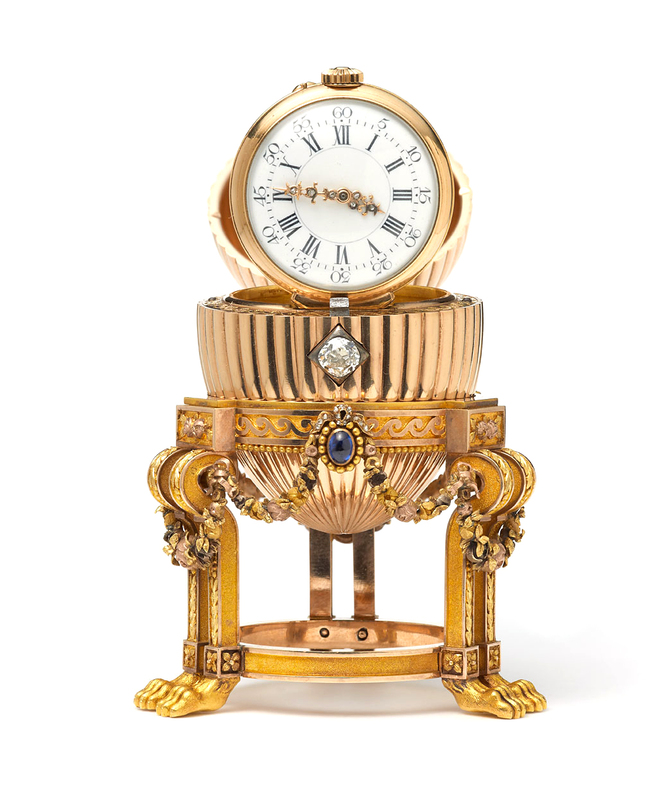 Standing 8.2 cm high, the egg was given by Alexander III to his wife Empress Marie Feodorovna in 1887, the egg is made of yellow and rose gold, and set with diamonds and sapphires. The top opens to reveal a small lady’s watch by Vacheron Constantin, which might make this the most valuable timepiece ever. 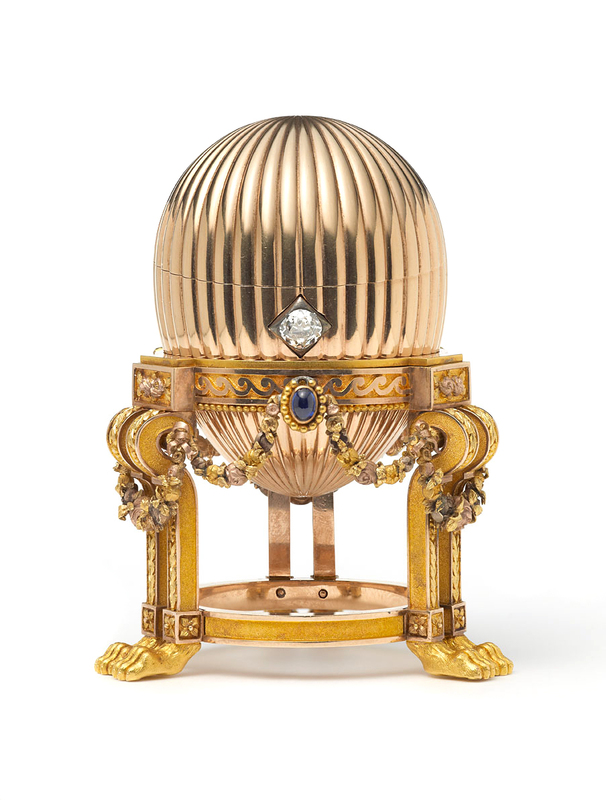 After the Russian Revolution, the egg found its way out of Russia as part of the Soviet programme to sell Imperial treasures, eventually being sold by auctioneers Parke Bernet in New York for US$2450 in 1964. And that was the last anyone heard of it, until now. Wartski brokered a private of the egg to an anonymous collector, for a sum which CNN estimates is possibly as high as US$33 million. 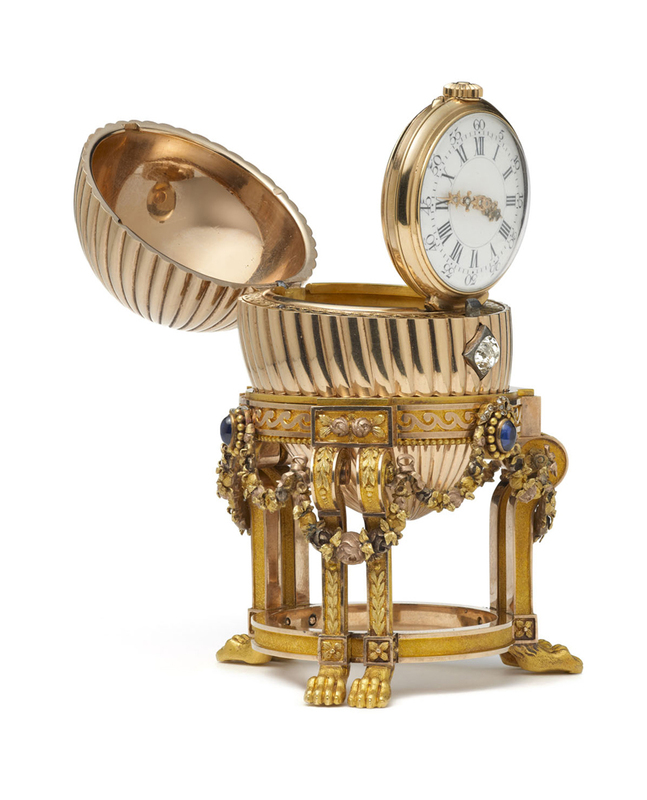 The egg will be on show at Wartski in London from 14 to 17 April 2014, the first time it has been on public display in 112 years. More details can be found on Wartski.